Alamo Drafthouse Drops The Bomb! 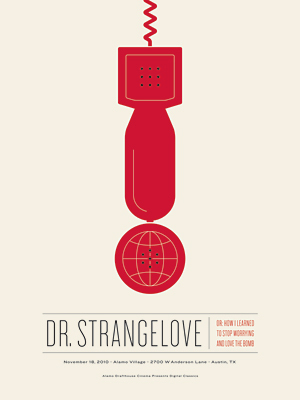 That’s right, Alamo recently commissioned Jason Munn of The Small Stakes to do a limited edition poster for Dr. Strangelove…and you can get it here for forty smackers! 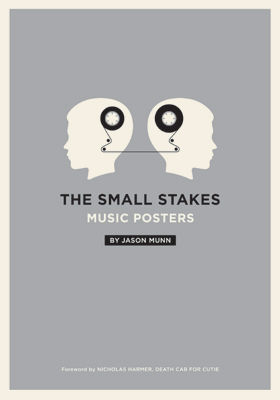 And if you’re into indie alt-rock posters, you might as well pick up his super cool Chronicle Books classic, Music Posters, too! This entry was posted in 2000s posters, Artists & Illustrators, Movie Poster Books and tagged alamo drafthouse, dr. strangelove, jason munn, the small stakes by russ. Bookmark the permalink.